I've known Dr. Maher for many years now. Knowing Peter Maher is the equivalent of receiving a college education for the entire duration of the relationship and this is the invaluable gift he has given to so many around the world with whom he has shared his infinite knowledge. He can pull an anecdote out of his pocket for virtually any historical scenario and his insight into his specialty, linguistics, only serves to complement his prodigious knowledge of history - TRUE history. 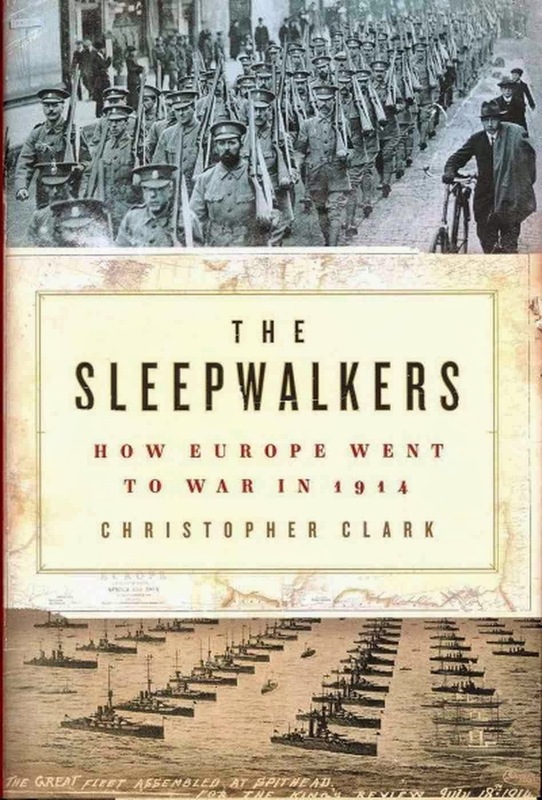 I'll take a Maher interpretation of history over Christopher Clark's any day, and it would be a real treat to see and hear a live debate between the two of them on matters of the Balkans immediately preceding the Great War. "1. This book aims to cash in on the centenary of the Sarajevo assassination of Archduke Franz Ferdinand, which bothered no one at the time and was welcomed in Vienna and Berlin as a casus belli. 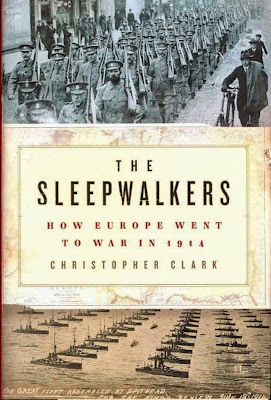 Christopher Clark page 11 refers to "murderous passions now directed to undermining Austria-Hungary", an impossibility. Empires, the saying goes, die by suicide, not murder. 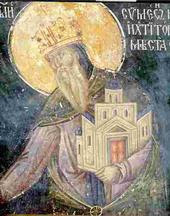 A-H was an occupying power in Bosnia-Herzegovina, a Serb land with Croat and Muslim minorities, and the conspirators were from all three of these communities. Their goal was by no means the destruction of the immense Austro-Hungarian Empire, but to expel an occupying power and unify all Yugoslav peoples in their own state, just as the 1916 Easter Rising in Ireland aimed for Britain's withdrawal from occupied Ireland, not to annihilate the British Empire." 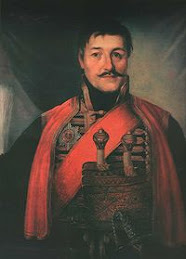 "2. page 11: Lieutenant (later Colonel) Dragutin Dimitrijevic, according to this and other authors who do not read primary sources, was "... known as `Apis' because his heavy build reminded his admirers of the broad-shouldered bull-god of ancient Egypt..." Christopher Clark probably took this from the Encyclopaedia Britannica, not from any primary source. The man was not exceptionally big. Apis is not the Egyptian word for a bull, but the name given to Osiris in the appearance of a calf. Dimitrijevic was dubbed by his secondary school mates for his unremitting work habit; he was the "busy bee, Apis mellifica 'honey bee'. Apis is not Egyptian, but Latin." 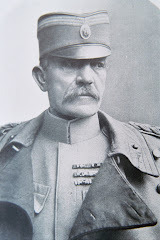 - Professor Mihajlo Pupin, Columbia U. NY Times, 29 June 1914: "Before Austria secured Bosnia and Herzegovina by the Treaty of Berlin in 1878 the people were better off. Then they were allowed some little liberty with the land. "Now an old woman cannot go into the forests and gather up an apronful of sticks for her fire without making herself liable to arrest and heavy punishment. No, the wood is first shipped to Vienna and then brought back to Bosnia and sold to the peasant at ten or fifteen times the price it should bring." - 1878. 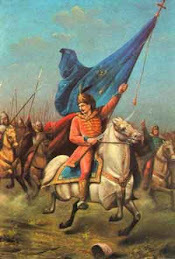 Bosnian Serbs liberate themselves from the Ottoman Turks. Congress of Berlin authorizes Austria-Hungary to invade and occupy Bosnia. 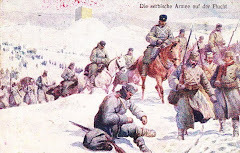 - Austrians bombard Sarajevo. - "Not a mouse could stir in Europe without our permission. "- Wilhelm II to Edward VII . Tuchman page. 19. 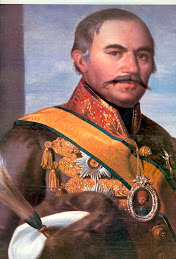 1863-67: Mexico: Maximilian, brother of Franz Josef, was executed by Benito Juarez. -1910. 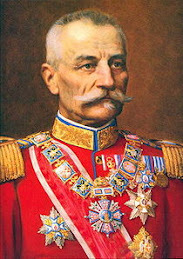 After Bogdan Žerajic's attempt on the life of Franz Josef: "the excitement spread to Croatia and there were four attempts on the life of the governor in Zagreb." Croatian Sabor (Parliament) was dissolved twice, opposition wins election, is suppressed; universities, press closed (Hubert Butler, page 252): Zagreb students flocked to Belgrade; Croat Luka Jukic. made an attempt on the life of Ban Cuvaj. -Kaiser Wilhelm II: "I hate the Slavs... 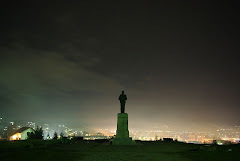 The thing to do now is to get every gun in the Balkans to shoot against the Slavs ." (Tuchman p. 92). Morning Post (London). 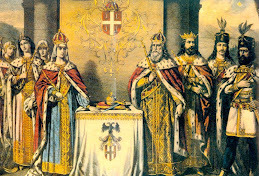 "If Austria does not want to annex Servian territory, what is the political purpose of her war? Did official Austria grieve" "Providence has solved our problem." 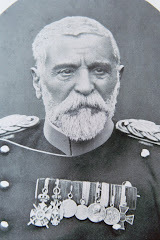 (Kaiser Franz Josef). Strauss, Strudel, Strang (Strauss, Strudel, Noose). "It must have been in the late twenties that the first wave of nostalgia for imperial Austria, its glamour and its grace, swept across the theatre and the screen. Later, it invaded the study and has long given a giddy twist to many historical researches. 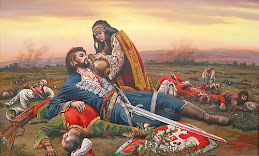 For many people whose parents fought against the Hapsburgs, the assassinations at Sarajevo have come to mean the first great irruption of violence into a prosperous and orderly world, the signal for the decay of romance, colour and freedom, the prelude to the cruel despotism of the bully and the statistician. In fact there never was a time when it was harder to enter into the mind of those who saw the Sarajevo assassinations as the dawn of freedom." 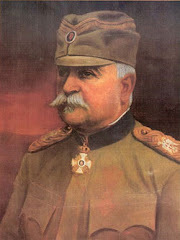 -Austro-Hungarian Judge in Sarajevo "Dr. Pfeffer, after a detailed examination, decided that Serbia's encouragement had been unofficial and half-hearted." -1918. "The Great War began in the Balkans, yet its origin in the hearts of unscrupulous autocrats whose ruthless ambition knew neither justice nor limit; who counted the subjection of a free people merely as the first move in the game to commercial and political supremacy, and in the end to dominate the world. 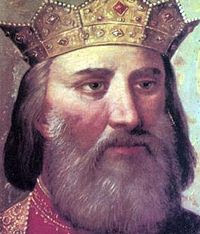 Serbia was only a pawn, to be swept aside as the first obstacle in the path of world conquest." 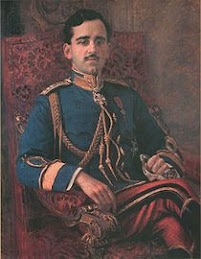 - Charles Vopicka (US Minister Plenipotentiary to Bulgaria Romania and Serbia 1913-1920), Secrets of the Balkans. 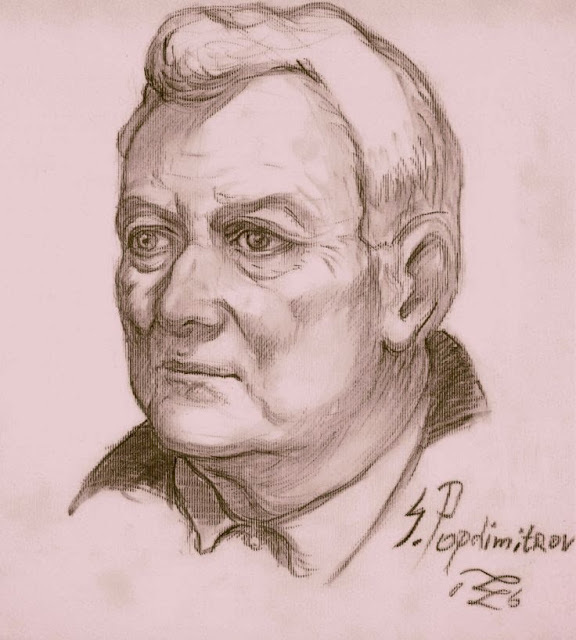 1920 page v.
Professor Emeritus J P Maher is an etymologist-culture historian of fifty years experience working in Indo-European, Germanic, Slavic, Greek and Latin, and Romance languages. He has taught and conducted research in Ireland, Germany, Austria, Switzerland, Italy, Czechoslovakia, Bulgaria and Yugoslavia. In the Cold War he served on a Yugoslav desk of US military intelligence and remains on top of things there. 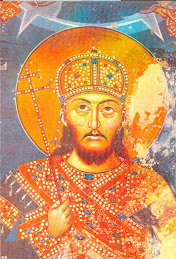 In March 1992 he visited Dubrovnik, to find it miraculously re-built within three months of its total destruction.